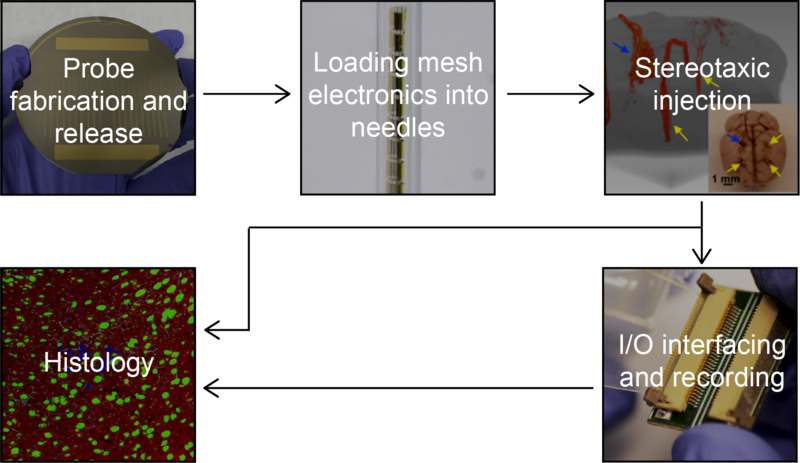 Syringe-injectable mesh electronics seamlessly integrate with brain tissue in living animals, opening up exciting opportunities in neuroscience, bioengineering, and medicine. Here we make available to the scientific community protocols and other resources needed to implement this exciting technology. Please contact us with specific questions. 'Click' on the specific step of interest to find out the details! 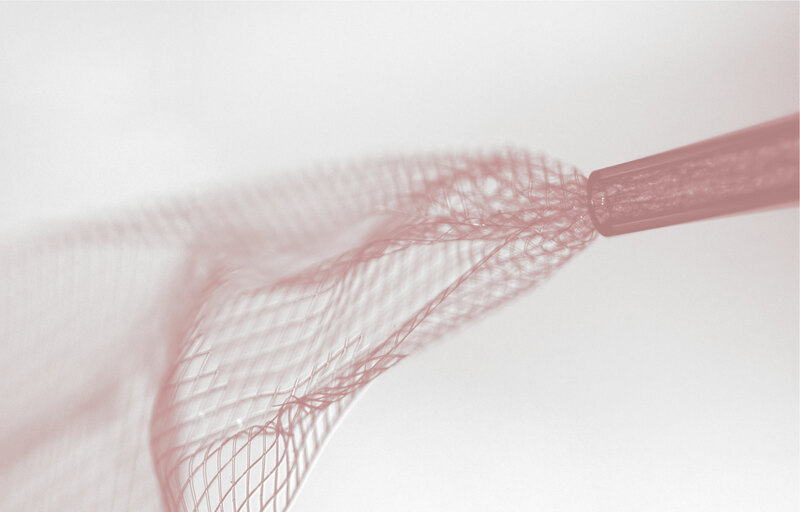 The article describes the Lieber group's latest revolutionary approach to recording single-neuron activity of mouse retina in vivo in a chronically stable manner. This work opens up new opportunities to study how retinal ganglion cells connect with other vision-related brain regions and on the development of retinal prosthetics for restoring vision through nonsurgical procedures. G. Hong, and C.M. Lieber. Nat. Rev. Neuroscience, 2019, DOI: 10.1038/s41583-019-0140-6. X. Yang, T. Zhou, T.J. Zwang, G. Hong, Y. Zhao, R.D. V, T.-M. Fu, T. Gao and C.M. Lieber. Nat. Mater., 2019, DOI: 10.1038/s41563-019-0292-9. T. G. Schuhmann, T. Zhou, G. Hong, J. M. Lee, T.-M. Fu, H.-G. Park, and C. M. Lieber. J. Vis. Exp., 2018, 137, e58003. G. Hong, T.-M. Fu, M. Qian, R. D. Viveros, X. Yang, T. Zhou, J. M. Lee, H.-G. Park, J. R. Sanes, and C. M. Lieber. Science, 2018, 360, pp 1447-1451. National Institues of Health NIBIB 2019. Science 2017, 358 (6368), pp 1233-1234. Nat. Nanotechnol. 2017, 12, pp 836.